In truth, that's sad. Yazer's and Jacobson were mainstays on Charlotte Street for 70 years. It's worth a news story to reminisce and say goodbye, but we shouldn't let these two stores dictate the narrative of Downtown Sydney. For one thing, are we sure these two stores failed because shoppers no longer visit downtown, or maybe the appetite for Italian three piece suits in Cape Breton has waned over the years? Maybe their price points were off for their target market, or they were dealing with increased competition? Maybe it was all of the above. Whatever the reason, Charlotte Street is not one Yazer's after the other. It's not a ghost town of boarded up windows from a zombie apocalypse. There are as many new stores as there are stores closing, but that's just not what people seem to want to talk about. 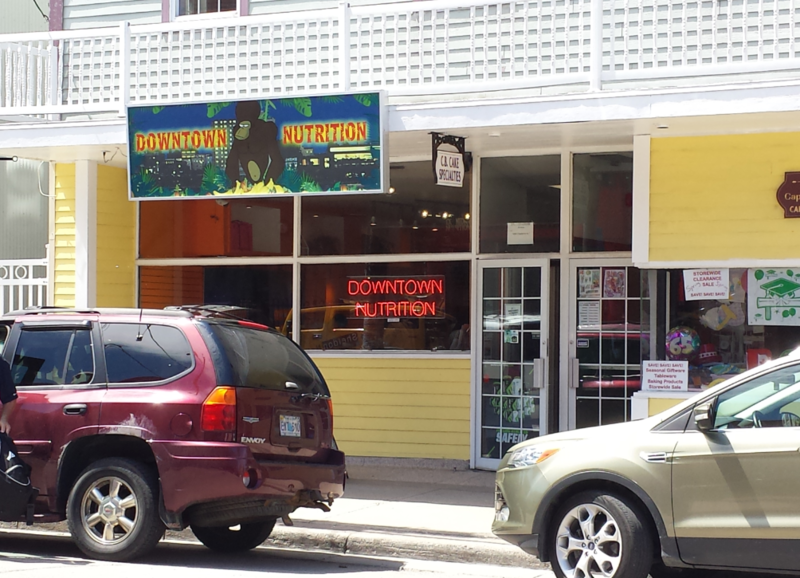 Here's a question: ever have the black bean chipotle burger from Downtown Nutrition? Well, if you haven't, let me tell ya, it's delicious. Don't let the overattractive staff and supplements in the back fool you. This place opened in 2011 and makes an amazing burger, whether you're a vegetarian or not. I'm not, which is also why I love going to our next stop. But what if I want to work off some of these delicious burgers and wontons? Maybe I could just go to the fanciest gym I've ever belonged to across the street. I used to swim at the YMCA pool when I was 6 years old. I renewed my membership at 30. This place is clean, fancy, and everybody is super nice. Maybe I'm used to bargain basement gyms with heavy stuff strewn about, but this place has given me new appreciation for modern rowing machines. I could go on about how the BBQ sandwich at Embers should be more than $6, or how amazing Missy and Julie's expresso machine is at Doktor Luke's, or I could tell you about some of the best sandwiches ever coming out of No Quarter Deli on George Street. You can play boardgames at The Local NPC on Tuesday, buy a book at Ed's on Wednesday, see a show at The Highland Arts Theatre on Thursday, and take in some music at Governor's on Friday, and if you can keep your bar tab low it's cheaper than most any other city in Canada. Three plays for $39? With real humans in them? But How?! 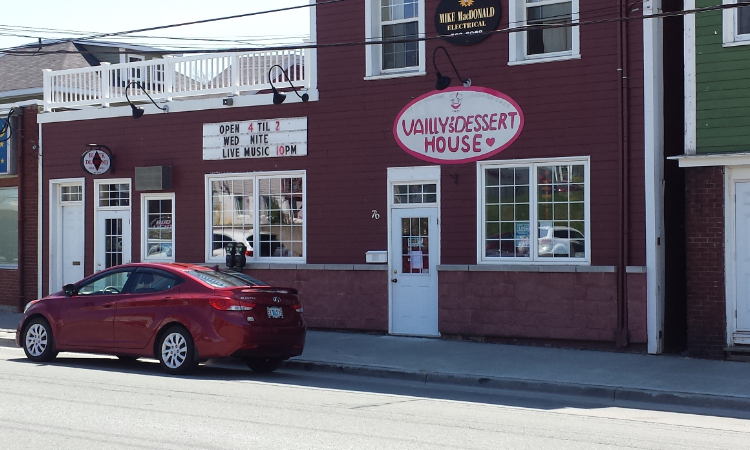 I've been living in Cape Breton for 15 months now, and it seems to me more shops have been opening in that time-span than closing. Not only that, but more shops and venues that I'm personally interested in have been opening. As someone who lived in Georgia for 20 years, finding quality BBQ in downtown Sydney was an unexpected treat, and bubble tea was the last thing I saw coming to Townsend Street. Still, it seems the downtown is lacking a place to just "hang out" and businesses are struggling with new competition from Walmart and the mall. Those options have parking, which is another issue entirely. There are big holes in store frontage left from the closing of The Bargain Shop (which I would love to see become a co-working space) and others. There's also the issue of the entire place closing down at 5:00pm, and the fact that I wouldn't know where to begin if I wanted to live above any of those shops, which people should be. So there are problems to solve, for sure, but this isn't a story about a downtown that's failing. It's not really a story about a downtown thriving either. Anyone who paints either of those two pictures has an agenda. It's a story about a downtown changing, and what direction it's going to go in. Right now, I'm optimistic. So what do you think needs to be in Downtown? What changes would you like to see happen? I'm new here, so really, I'm asking. It would make a big difference if - somehow - they could get rid of all those messy overhead wires. Would improve the streetscape immensely. Otherwise, some more outside seating at cafes would be nice in the warm weather. This would improve the aesthetic appeal of downtown significantly. We've been close to having funding for this secured in the past, but alas, we still have the poles. Don't imagine with municipal funds being what they are that this is a high priority, but would be a huge improvement. A pedestrian mall concept downtown, forcing people to park and walk the area would help support the changing face of downtown Sydney and make it more of a destination rather than a street. I don't think there is any one thing Downtown needs. I think it is a combination of things. A quaint little gallery filled with oddities and wondrous things from artists of all ages. A pastry/bakery to grab some dilectibles. A fun clothing store where you could pick up an interesting hat or a shirt you won't see on twelve other guys around town. Food carts and trucks where you can grab fresh good food before 7:00pm, loft living for young creative type, a farmers market filled with local goodness and ethnic foods, or even a storefront to pick up outdoor gear or point an adventurous tourist to some of the wonderful things around Cape Breton they won't find on the Destination Cape Breton website. Most of all we need a collection of stores and shops which will promote walking from one end to the other stopping in to see things along the way. No one thing will bring people down town but if you get enough things down there, oeop,e will come and the will stay. Food trucks really are the best. They take risks with their menus because they know people willing to eat out of the back of a truck are the adventurous sort to begin with. And you're right that a vintage closing shop would be awesome. It would be nice to lure the university crowd downtown with the promise of bellbottom jeans and Fleetwood Mac T-shirts. I'm pretty sure there's restrictions against food trucks parking on the street, which is why you find mountain fries, bacon bus or patty wagon parked in parking lots. fuzzies fries has been grandfathered in but I've heard tell of a new food truck coming to town that will be something more akin to what you'd see in a larger city like toronto or calgary (which I'm super excited for). But if they can't park in front og a busy spot during the day they're going to run into the same problems any other restaurant does without the obvious benefits a food truck is supposed to give them. Here you go Steven! We just launched a food truck today along the boardwalk behind Mercer fuels called the Little Rollin Bistro. http://www.lrbistro.ca/ https://www.facebook.com/pages/Little-Rollin-Bistro/1598118630451078?tab=page_info&view Open from 11am - 6pm, serving up restaurant caliber meals from our Red Seal chef Laura Young. We have Fish Tacos (huge hit today), Pulled pork, Bratwurst burger, Chicken Wraps, Red pepper hummus, etc. Our meat is sourced from Thyme for Ewe farm, and every else is local and organic when we can. Day 1 went great and we're hoping for many more! Oh boy oh boy ... perfect spot near our office. Please post your business launch here on goCapeBreton.com ... go to the directory and navigate to the best category and click NEW POST. One simple way that downtown businesses can do better is if they did some basic, inexpensive promotion of their businesses in the downtown core. For example, MediaSpark has had 4 offices downtown during the last 20 years and I'm not sure I remember a single restaurant dropping off a menu. I've made this same observation to some newer restaurants that started and I still have not seen any menus. Missed opportunity. I agree businesses rely too much on word of mouth. I believe the downtown needs more restaurants with patios on Charlotte Street like the Grande Allee in Quebec City. As well when Lumiere is on you can't even get a coffee. 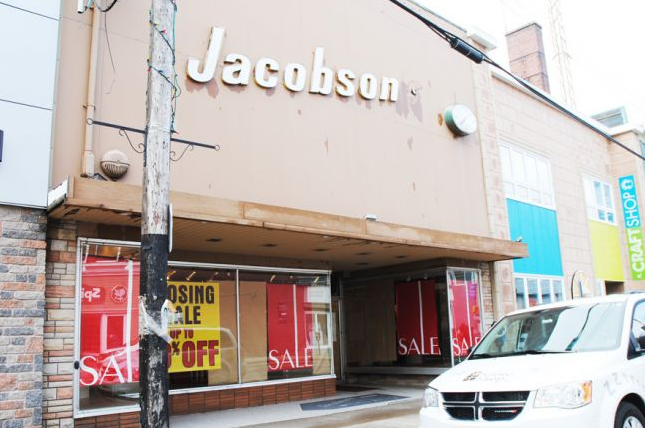 The vacant bargain shop/Jacobsons/Yazars could be night club cabarets for the 40/50/60 year old demographic. The message is not getting out with people listening to Sirius satellite radio and the majority of news coming from Halifax a lot of Capers are uninformed of all that is going on here and there is a lot!!!! There should be more street performers on Charlotte street during the cruise season and in the summer. There is so much potential. Cruise ships and more patios aren't going to save the downtown area. We need to rely on the people of CBRM to spend their money there and it is clear that they aren't. So where ARE they spending their money...and how do we get a piece of that pie? We need an anchor retailer in the downtown core. People need a reason to NEED to go downtown. Not just for leisure...for pleasure and shopping. Charlotte Street once had a Canadian Tire store and it was a booming area. People came downtown because they NEEDED things at the hardware store. While they were there they bought food at Ikes Delicatessen, the grocery store etc. Now the downtown consists of shopping, restaurants, hair salons etc. Most of CBRM'S residents can be found shopping at SPAR Road or Keltic Drive. If we had a major retailer in the downtown area the stores would benefit from the foot traffic. Bring in a major retailer, more parking, (eventually longer hours as sales support it) & better advertising. Sydney's Downtown is facing the problems every City's Downtown is. Demographics are shifting (and have been for awhile). People shop where they live. You want a vibrant lively Downtown you need people living and working downtown. You also need lots of free parking to allow others to make the 'trip in' for events or 'shopping trips'. I would like to see an ice-cream shop on or near the boardwalk, a grocery store and/or hardware store to draw local residents downtown for daily needs, the farmer's market relocated to downtown year-round, and open businesses on Sundays when there is a cruise ship in. Also it would be amazing to have a place for kids to play...that could include cleaning up and monitoring (or relocating) the playground behind the fire hall. I think all of these things would encourage people to use the downtown more often. Farmer's Market downtown again would be great! Fabulous! I'd love to see the vicious cycle of "there's nobody downtown because there are no shops because there's nobody there" end. The "no parking" complaint annoys me because - how far away do you think you're parking from the store you're going to at the mall? Just go over one street and park there - just because there's a building in the way doesn't mean it's too far :) Hey also, don't forget Cape Breton Centre for Craft & Design, or My Fair Ladies! An Art Gallery for the rest of us. A strictly commission gallery that pays the rent with artists taking turns working the Gallery open air pub from 10 in the morning with live entertainment. murals. no cars on Charlotte Street during the summer.. Downtown Sydney is OUR city centre. It is great to have certain businesses that cater to tourists. but let's not forget about the rest of us for the other 9 months of the year. I think as a city, we're really short on public spaces. Don't get me wrong; businesses are a great. But, let's count the places where you can meet without spending money: The library, Wentworth Park, the boardwalk? I believe the downtown area could benefit from publicly funded places where we could meet and socialize, read, eat (perhaps a brown bag lunch), etc. Check out how adding these types of spaces has worked in other cities. Public spaces can be an excellent solution to empty lots and vacant buildings. It could bea great way to bring our community together. Every downtown should have a bookstore. Charlotte St has two - the Curiosity Shop for local books and Ed Gilpin's bookstore for a huge selection of used books & more. Ed's is a great place to browse. A few weeks ago we had a meeting with Bruce Maloney to see how Charlotte St could be revitalised. One of the ideas is to get the use of a vacant store and open it up for start-up entrepreneurs, students and young people to experiment with 'pop-up' stalls so they can try out new business ideas in a way which limits their risks. The idea is a strong one but so far no landlord has been open to trying it out. We only need one vacant store to do this! Offers? David, I love the popup store idea! Unfortunately, owners will be reluctant because of insurance, utilities, and potential damage. On the plus side, a popup store brings potential lessees and buyers to the building, which is a win for the owner. But, in order to convince them I presume some rent money would have to be on the table. You also need money to insure the popup store, etc. I think it would have to be centrally administered by some organization, which would have to get funding from some source to make it all happen. Definitely doable though. Another use of the empty stores is to just have nice displays in them. Eliminates all of the issues above. Products can be advertised and displayed in the windows, but sold elsewhere, perhaps even online. What other down town areas of similar cities seem to be good models to consider ? What do they have ? Image is everything when it comes to the places we like .Experiencing a place is also what w really enjoy . In tourism, they use the "word" destination as the catch phrase . Come to this destination, go to that destination . And then ask yourself about your favourite destinations, "Why do I go there ? Why do I shop there ? What did I experience there ??? Cape Breton as a destination , just as does Sydney. need to work on the "first immersions" ,the kind of things that travel so well by word of mouth as the good things about a destination . SO start with the images of Sydney as you travel in and around the city . What do you see that looks nice ,that catches your eye , besides the bad roads . Every resident of Cape Breton is your audience and your client base . Every tourism business operator is your best advertising person when they are asked "should we go to Sydney? ". The whole downtown , the vacant lots , the alleys , and even the sidewalks and gutters need a real cleaning . 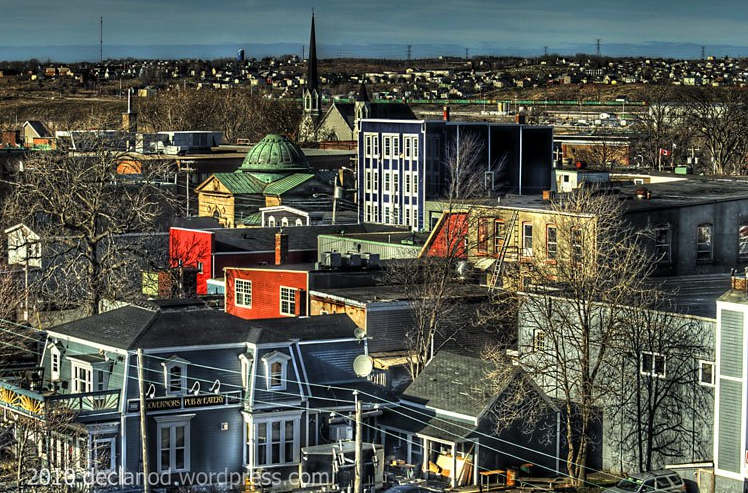 Take a picture of your streets and compare to St.John's NFLD or Irelands villages . Sydney has just a little too much garbage, signs of poorly maintained businesses . Some downtowns will work to maintain an image such that the architecture of all new buildings has to meet certain criteria . Victoria has done that and it been a huge tax windfall . Next is "sign" clutter and landscaping and again vacant lots along Kings, and Prince , and a few others . Weather is a real challenge for downtowns as is parking and is having enough people there . Bars and pubs and restaurants attract certain audiences, and stores attract others . The City administration has to do the things that make sure all those businesses have the best surroundings possible . People like downtowns. They like the activity of seeing people , they like that it is safe and clean too. Absolutely, Peter. This should be treated like a premiere aesthetic zone within the city. St. John's is beautiful visually. Even North Sydney looked great the other day with the fresh paving as you drive through with direct view to the ferries. But there will be endless examples of immaculate downtown (even old downtown) areas all over the world. The empty buildings and ugly painting of the green, and the blue buildings on George St. are just eye sores. They remind me of when I've driven in rough, poor areas of big cities in the United States. Just take the HR & Block building as an example. For years that was a huge building, empty and wasting valuable space. Now with the new renovations and the strip of businesses they have leasing there, it has become a positive element to our downtown area. Though I don't have the mindset of a visiting tourist, I'm not immediately sure how much they would want to see or be impressed by in the Charlotte St. area. The new business that is opening soon, that does photos of people in costume, will likely be something interesting for them to do. But don't start comparing to Niagara Falls downtown or we would be in big trouble, ha ha. With insufficient consumer interest, poor parking, deteriorating business spaces, and high taxation - there is some big challenges to restore this area. Cruiseship passengers are a captive audience. By the time they get past Flavour on the Water or the Big Fiddle, they start to enter a zone where I'm not aware of anything much to offer. There is a nice shop of crafts next to Louanne's that I'm sure must be popular with visitors. Rory probably has a more comprehensive knowledge of businesses more of interest to tourists. Part I. Somewhere for the middle-aged group to relax and have a drink. We don't want to go to the Capris (yuck). We spend most of the money in CBRM, our age and up. Give us a nice bar with a mature atmosphere, comfy seating, a piano man/woman and maybe the occasional singer. Something smooth like jazz, maybe. Flavour on the Water, The Olde Triangle, Daniels? A transit service which doesn't stop at 5 pm to the outlying communities of the grand CBRM. Buses run hourly in Sydney until silly o'clock, but you cannot get one to New Waterford after 5 pm. The powers that be say ridership is the reason. Hard to ride on a bus that doesn't exist! If I owned a business in Downtown Sydney, I would be pushing to establish a water taxi between Sydney and Archibald's Wharf, which is next door to the new NFLD ferry terminal. The community of Yarmouth depends on a quarter of this kind of traffic and it is so important to the community that the Nova Scotia government subsidizes it to the tune of $40 million.We have 4 times that traffic docking in North Sydney year round and we decide to put a shipyard next to it with a empty Marine industrial Park that is big enough to handle a shipyard, container terminal and many more Industrial marine related type business. I would also push for the Nova Scotia government to establish a once a week service between North Sydney and Yarmouth to bring more of the American tourist market to Cape Breton. Cape Breton is Nova Scotia's masterpiece and it is that fact that attracts most of the tourist traffic to Nova Scotia. However right now we are attracting them, but once the American tourist look at the map, most decide to just go to Halifax and turn around and head back to the ferry. A once a week stop in Cape Breton would encourage more tourist to drive the whole province and if marketed properly would increase the revenue of bay ferries and thus reduce the Nova Scotia tax dollar being spent, that should benefit the whole province. if the CBRM ever wanted to go after these extra potential customers for our downtowns, they would have to get Archibald's wharf back and show the Nova Scotia government that we are serious about developing our tourism market. Tourism brings a lot of money to our Island, but it is a short season and we need to go after every dollar we can get. Another benefit gained from well organized downtowns full of life, is it makes the community more attractive for High Tech firms to set up here, because lets face it the successful ones can set up where ever they want to. A communities planning strategy is so important for the future, so adhere to it. .
Mike : i watch the tourism economy a lot . At the provincial level and at the CB Island level, our "sales" have not consistently increased for years .No one publishes the accumulative increases or decreases over the last 10 years as an example .They all talk about "this year" and "last year". The province has been closing visitor centers at the ferry entrances of Pictou and Yarmouth for example . The 5 municipalities on CB operate like silos .Look for tourism on their websites . Tourism is an export. It generates high sales to dollar invested by the province , generates commercial property taxes , HST taxes , income taxes , room taxes yet no one tabulates that revenue at the province or municipal level .You can only travel this province by car. The ferry file shows how poor we are at math let alone product and service . It also shows that the feds can run ferries but the province just can't .The water taxi in Halifax is a private supplier ;the City Ferry guys just want to play with ferries. Your idea is bang on . Peter I have travelled the ferry from Portland to Yarmouth and the American tourist I met wanted to go to Cape Breton but the drive looked too far to travel both ways and they were correct, it is a long drive so they were heading to Halifax and back to the ferry. NFLD offers the tourist an opportunity to drive one way through the province and Nova Scotia should also, after all the majority are using the Yarmouth ferry for either the experience or to cut out highway hours, so take advantage of it. With all that said, if the Cape Breton tourist association as a group do not speak up about what is happening in North Sydney (Archibald's Wharf ) they have very little of my sympathy to complain about the fairness of the Nova Scotia Tourism association. 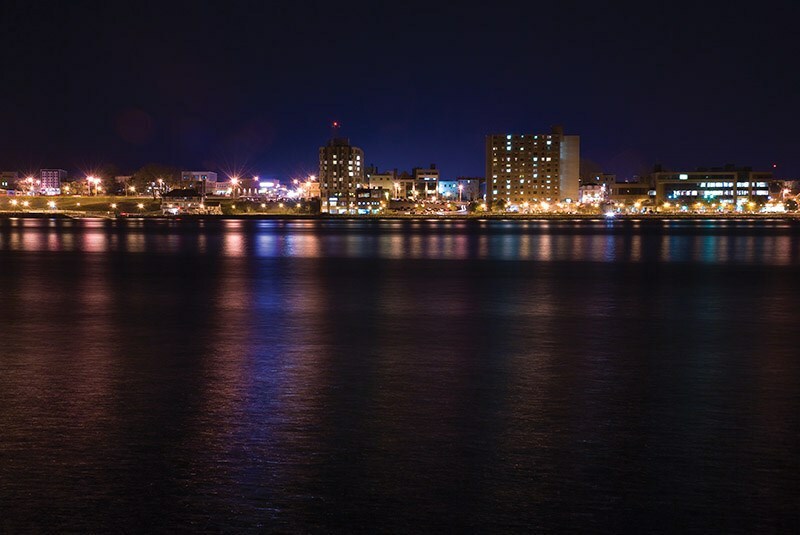 I have not seen one comment from Destination Cape Breton concerning the loss of Archibald's Wharf and they if anybody should recognize what a loss that is going to be. On CB , a few stats : Room nights sold on CB in 2010 were 450,300 and in 2015 were 400,000 and in between a low of 393,600 in 2010 . Destination CB is no longer a membership group the represents tourism business owners in the usual sense of an association. Archibald's Wharf was a development of land planning tragedy . No one takes prime waterfront and turn it into industrial unless there is huge ROI . They didn't even get a good price for the land . Question is , now what ?? My soapbox is that the municipalities on CB need to start to use business plans and project management and financial transparency to better understand what they are doing , let alone where they are going .There is no more money in property taxes unless they boost commercial and deal with the underground . There is only limited federal money coming , and certainly even less from the province , so tourism can be factor , but no one is tracking what the tourist wants really . Rather than mitigate our out-migration, we perpetuate it by giving people a stronger reason to leave. We weaken our value proposition and erode the sense of housing's supposed competitive advantage on cost (ignoring all other lifestyle factors). 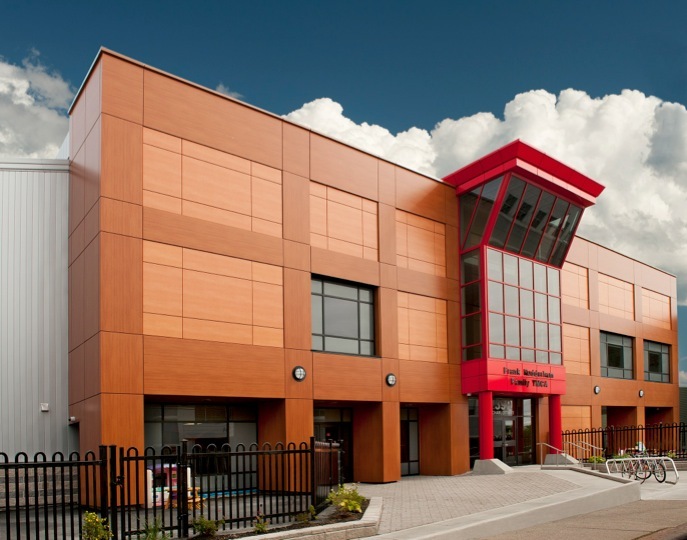 CBRM budget keeps growing while the tax base keeps departing. We buy land for private businesses, keep growing policing budgets when our only significant problem is addiction and alcohol instigated offenses, throw excess money at underqualified port CEOs, and squander the opportunity for Federal investment (i.e. ACOA, Parks Canada money in the stalled Destination Louisbourg project). And their big plan is either a moonshot container port or breaking the tax caps. That is a downward spiral strategy. Let's hope they pull off the moonshot. Bing. Bing. Bing. Well said, Joe. I think another factor is related to "come home" or "visit family" trips. As our population declines and our senior population passes away slowly (or perhaps a little more accelerated due to lack of adequate health care on a timely basis), there is going to be less of a reason to come home by family connection. Meanwhile, since such a huge percentage of our population has left, that means that the Cape Breton lineage and families will be growing larger in other parts of the country. As such, it will be us travelling more often to visit them and deposit domestic tourism dollars in their provinces, decreasing spending in our own. Our decline is getting reinforced in many different areas. I also don't think it's fully appreciated what the impact of closing schools will be on the decision for families to leave the province. Children and school can be very stabilising for families. Now that we've uprooted many community schools, give families a year or two to see how it plays out with their children and see how it changes their psychology. I grew up having to take long bus rides from the Louisbourg area into Sydney schools. It was an unpleasant time waster that is absolutely no good for kids. I can't think of any strategy that is considered an intervention with the exception of the container port strategy which has very low probability of success - unless measured in terms of its ability to influence mayoral election results. Just look at any family that moved to Fort Mac . How often do the parents come home ? Now how often do their kids come home ? and when those kids get married and are out working ,how often do they come home ? And who comes home after there is no one at the homestead ? In another 5 years there will be a major shift Joe ; you have it bang on . The family members I had as a kid here were a considerable number. But the majority moved to Ontario, and the family keeps growing. Many of the younger ones have never been to Cape Breton and never will because their great-grandparents are now deceased. :( Result: We drive all the way to see them. Or we drive to Halifax to fly from there to get more affordable plane tickets. Note: Some, of course, still do come home to visit. It's just more a comment on how that percentage will decrease over time, unfortunately. Over perhaps 25 years, with 5,000 net new (above median) jobs, a clean harbor, properly managed roads and snow removal, a CBU and/or NSCC with growing enrollment (International), and CB marketing teams who possess greater vision than Big Fiddle postcards... and then we could become a top rated place to live. Perhaps even a smaller scale Seattle-ish type environment. Tech meet arts. Well, if you believe all of the stories, Cabot Links is going to have a huge impact in Inverness area . It's their spin off that is critical as they have a system where they sell a package of golf , lodging and dining, so unless someone stays a few more days in the area , there isn't much spin off . Is employing over 250 apparently . Those small niches are what leads to making us a top destination. We just can't rest on our laurels. No time for patting each other on the backside unless it's a baseball tournament. ;) It's a similar structure to what might have been possible if Saccary hadn't been successful at poisoning the Synergy Louisbourg plan. Destination, accommodation, dining, and concentrated attractions await there, and in closer proximity to the Sydney hub. "Wake up to the smell of coffee and the ocean breeze. Look across the harbour, 300 years into the past. Fortress Louisbourg guards walk the grounds, muskets in hand. The canons are ready for powder. And you haven't even had breakfast yet. Bonjour, indeed. Visit Louisbourg where The Past is Present." Joe : I think investment and investors look for numbers when looking for opportunity . At the same time if no one is pumping out the numbers than they are harder to find or are maybe never found . 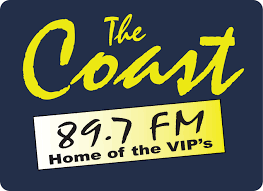 The Sydney radio guy pumped out his thing about moving to CB and attracted more attention in one day than the millions spent annually by DCBA and TNS .Why? inside the message was mention of the cost of housing and mention of being by the water . Louisburg is a federal investment . The Highlands Park , the core of the Cabot Trail is a federal investment . The Bell museum is a federal investment. Those are the attraction products . It is the "staying at " products that we are missing except for maybe Keltic Lodge. Our Ma and Pa places are not surviving like they used to , you know that niche kind of place to stay. We need big bucks to do anything today and we won't get them unless we have good trending numbers. Michael: What we really want is for our taxes to stop increasing on CB . Lifestyle is pretty good and we can't expect to have what every large city has anyway because we are not trying to be a large city . I think the appearance of many places is what is getting depressing . We are loosing those neat looking streets with all the neat looking stores and replacing them with glass blocks or some architecture that doesn't blend at all let alone pick up on a nautical or historical theme of architecture . We have lost all the towns along the 104 and 105 and haven't replaced them with any one road side service area that has any good feel to it, let alone good looks . Imagine a rest area at the top of Kelly's with a 360 degree view . Put our taxes into than instead of another NSLC store . I think the downtown would benefit from multi level car park and more apartments in the downtown area. Some of the vacant lots should have apartment buildings built on them to get more people living downtown. Personally I miss going to see a movie downtown at the Vogue or Paramount, then after the movie getting something to eat at one of the restaurants. Agree. Condense the population and make parking super convenient for visitors coming from non-walking distance. There are lots of great ideas on this topic.Ekistics is hosting a Public Consultation meeting Wednesday November 23rd, 5:30 - 6:30PM Downtown walkabout starting at Old The Bank of Montreal (175 Charlotte St) 7:00 - 9:00PM Workshop at the Community Room , City Hall (320 Esplanade - Boardwalk side of building). Everyone welcome. Thanks for the heads up, Eldon. I will add as an event if not already there. Experience Charlotte St. Like Never Before Public participation in the revitalization of Charlotte St. is important to moving the Sydney Waterfront District forward. Please join us for a virtual reality tour of Charlotte St. tomorrow from 5:00-8:30 Community Round Room Civic Centre facing the waterfront. Ekistics consultant team are preparing to host their first ever virtual reality open house that will allow residents to wear a pair of virtual reality goggles and experience a walk down Charlotte St. as if the revitalization had already took place. This new concept will completely change the flow and function of Charlotte St. allowing for a more pedestrian friendly, cyclists friendly, traffic calming experience. This is your opportunity to speak with the consultants and express your thoughts and vision of a revitalized Sydney Waterfront District. This sounds very cool, Eldon. I plan to be there. Thanks for sharing! Very creative approach. @Eldon: Do you know if they'll be releasing a presentation/visuals/report online after the meeting? Hi Joe, the document is still in the draft stages. Once the final document is complete it will have to be presented to council for approval. It would be great to get as much of the plan and design out to the public as possible, way ahead of the council approval stage. If Ekistics works with 3D modelling technology, they are likely also able to produce a video version that would give a walk through of the design that could be shared on youTube as well. That would make sure the design gets seen by many more people in the community, would be so much easier to share, and would draw more feedback from a wider sampling. I wish I could go to this Eldon, but I go straight from work to the play I'm in at The HAT. Is there going to be any other opportunity to see the virtual future of the Sydney Waterfront District? Hi Rory, I am not sure if there will be another opportunity, but I will look into it and let you know. Great article. I agree that we need to look at the positives and the new businesses, instead of what's closing. I know the Cape Breton Farmers' Market wants to move closer to the downtown area, maybe the Bargain Shop location????????? Also, we need more businesses in the north end, but zoning and restrictions are a problem. Rory, thanks for shedding a bright light... and certainly a positive attitude regarding downtown Sydney. Very refreshing! I see the downtown as a "evolving neighbourhood". As with a lot of Sydney's neighbourhoods, the new downtown occupants are the next generation of business operators, adding some pretty cool stuff to the neighbourhood. Amazing changes to Sydney over the past 10-20 years. I would love to see the downtown revitalized in to a park-like atmosphere, outdoor cafes, plants, trees, tables and seating. Imagine Charlotte St. without vehicles. Why not? 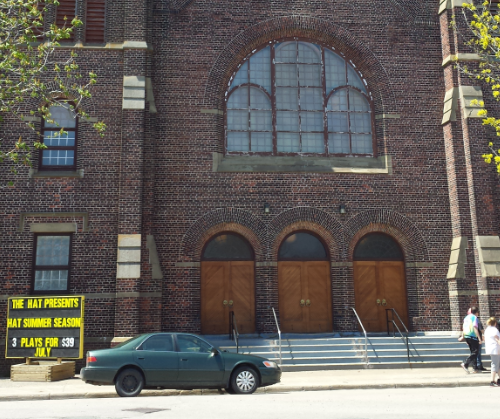 Maybe even an arched plexi-glass roof, from Dorchester to Townsend St. Imagine what that would be like! Crazy? ...Not really.